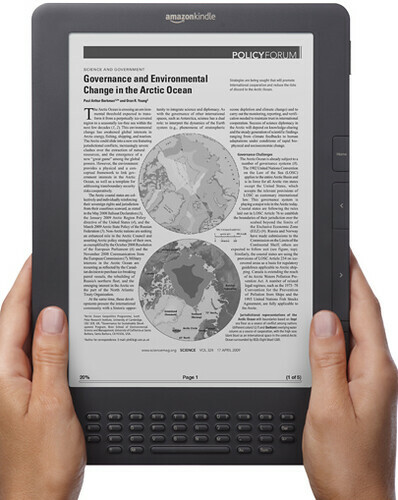 Amazon just announced a refresh of it’s Kindle DX, the larger eBook reader in their eReader lineup. That’s the only difference as far as I can tell from the specs that Amazon has on their site. It includes free 3G for life and of course is actually readable in the sunlight unlike LCD screens (yes I’m talking to you iPad.) You can preorder now although shipping won’t begin until July 7th. I still favor the Kindle 6” for reading books. And I like my iPad for reading everything although I’ll be the first to admit the Kindle is a superior book reading machine. Look this device over closely – I expect it to give us a clue or two about the next flagship (6”) Kindle we’ll see. If nothing else I expect the next Kindle to have the same color and improved contrast. 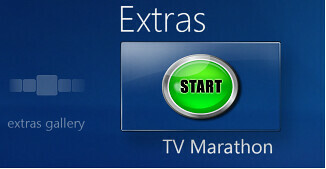 As I was browsing the GreenButton forums today I notice a nice, new add-in for MediaCenter – MediaCenter TV Marathon. Time shift the 4th of July marathon and play it when you're home. Play the kid's favorite series or movies over and over again. Catch up on a series by watching multiple recordings consecutively. Watch 2-part episodes as a single unit. 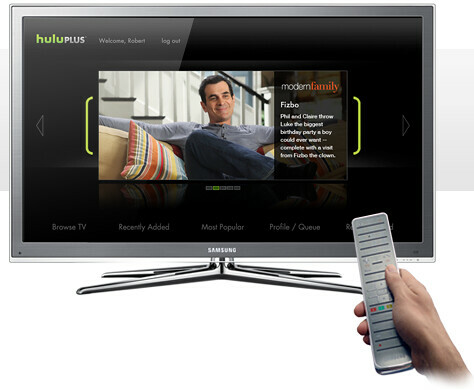 Hulu just added a Hulu Plus page to their website announcing their new, premium service that has been rumored for months now. The new service will be $10 per month and features full TV show seasons accessible only for limited episodes on the “free” version of Hulu. iPod and iPad apps will be available as well as some internet connected TVs and Blu-ray players. Plans for additional TVs, Blu-ray players, PS3 and XBox360 (with XBox Live) all are in the works. Sign up for the “Invitation” with this link. It looks like the initial invitations will be limited so get in quick if you’re interested. Finally, and this one is important in my house – There’s no live sports content on Hulu. What do you think? Is this the future? Will you be signing up? Newegg (affiliate) has a nice HTPC case on sale with an instant-off coupon. The Antec Black Fusion Remote HTPC Case is a good one and doesn’t go on sale all that much so a good deal if you’re looking for a HTPC case. Antec Black Fusion Remote Black Micro ATX Media Center / HTPC Case $125 ($139.95 less $15 with coupon code CASE62515 (expires 6/30) with free shipping. He covers most of the things you’ll need to know if you want to get HD Audio like Dolby True HD and DTS-MA from your Home Theater PC. Give this one a read and don’t miss the comments to the article as there’s some great information in there also. Microsoft Windows 8 Preview – Moving Away from TV Tuners? Now anyone paying attention the last year or so probably won’t be that surprised by this conclusion made by Thurrott. Microsoft’s focus on Media Center going forward has been rumored to be pretty “light” so-to-speak. And the future of TV might eventually be non-tuner based with the internet taking much of the TV content some day. Its hard to not be disappointed by this direction though if its true. Microsoft has a great product in Media Center and has actually taken great strides in the right direction with the improvements in Windows 7 Media Center. But I’ve heard from multiple persons supposedly “in the know” that Microsoft doesn’t see Media Center as we know it more than a “maintenance” project in the next version which to me means very little changes. What do you think? Is Microsoft working behind the scenes with a next generation Media Center or are they pushing it aside like the calculator “app” for Windows? Amazon continues to lead the eBook market in terms of getting their reader as well as their eBook store on as many devices as possible. 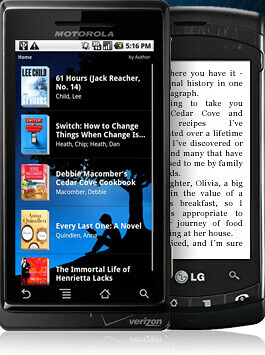 Today they released the new Kindle app for Android devices. The Android Kindle app is similar to the iPhone app that lets you search, browse, purchase, download and of course read eBooks from your Android (1.6 or higher) device. Kindle still leads the pack of eBook readers and eBook stores in most categories and this will help them keep the edge. Each week GeekTonic covers the TV scene with a complete listing of premieres, finales and specials for the week. Several season premieres and even a few new shows appear this week. Check out the complete list of new premieres and finales this week below. Out of Control Drivers (9pm on TLC – Available in HD) – New documentary series that focuses on…. you guessed it, out of control drivers. George Strait: ACM Artist of the Decade All Star Concert (9pm on GAC) – Tribute to George Strait starring Brooks & Dunn, Jamie Foxx, Faith Hill, Jack Ingram, Alan Jackson, Jamey Johnson, Toby Keith, Miranda Lambert, Tim McGraw, Montgomery Gentry, John Rich, LeAnn Rimes, Blake Shelton, Sugarland and Lee Ann Womack. Mary Shelley’s Frankenhole (11:30pm on Cartoon) – New animated series on Toon. A mad scientist performs experiments on famous people through history using time portals. Huge (9pm on ABC Family – Available in HD) – Series premiere of a new teen drama where a typical teenager girl facing struggles with body images in It’s setting is with 7 teenage girls at a weight-loss camp. Based on the book by the same name. James May’s Toy Stories (10pm on BBCA – Available in HD) – Series premiere of a documentary led by Top Gear’s James May. First episode has May attempting to build and live in the world's first full-size house made out of Legos. Obsessed (10pm on A&E) Season 2 premiere of a realityTV series that delves into the lives of individuals who suffer from chronic anxiety disorders. Make it or Break it (10pm on ABC Family) Season 2 premiere of the drama series that centers around Olympic hopefuls. Locked Up Abroad (10pm on National Geographic) – Season 4 premiere of a news documentary series. This episode subject is the 1978 film ``Midnight Express,'' that tells the real story of being sent to the infamous Turkish Sagmalcilar prison. Louie (11:01pm on FX – Available in HD) – New comedy series on FX starring Louis C.K. in a comedy about 41 year old divorce trying to navigate through life.